LATAM is a full service OneWorld partner airline which was formed several years back when LAN (Chile) and Tam (Brazil) airlines merged. 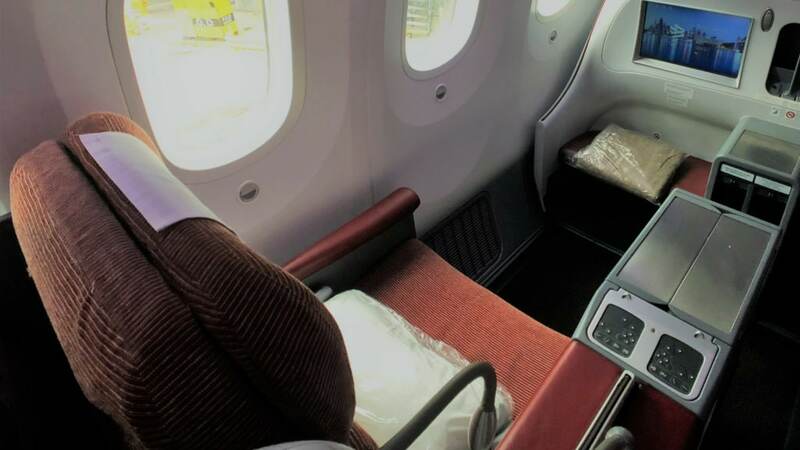 The airline operates a fifth freedom route on a 787 Dreamliner between Sydney and Auckland before flying onwards to Santiago, Chile. 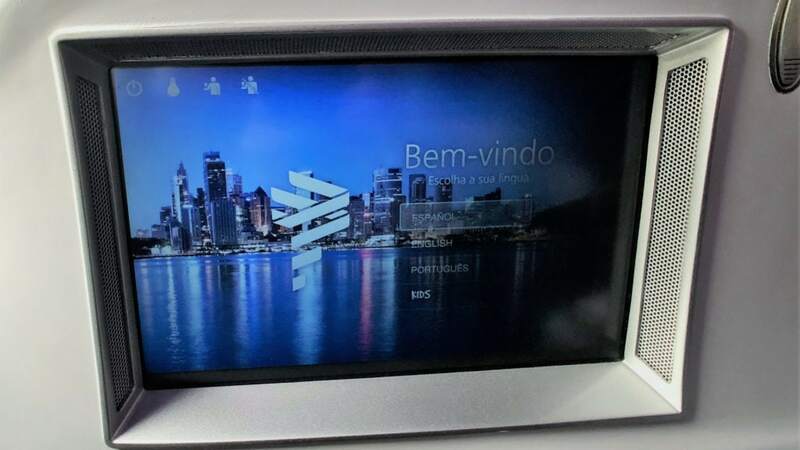 Recently, I had the chance to fly LATAM business class on the Sydney to Auckland route. I was able to purchase my fare for just $343 AUD one way, or $624 return. While this pricing isn’t currently available, LATAM regularly run sales on their trans-Tasman route, so it’s worth keeping an eye out for sharp fares. As LATAM is a OneWorld member, you can credit your flights to Qantas Frequent Flyer to earn points and status credits. 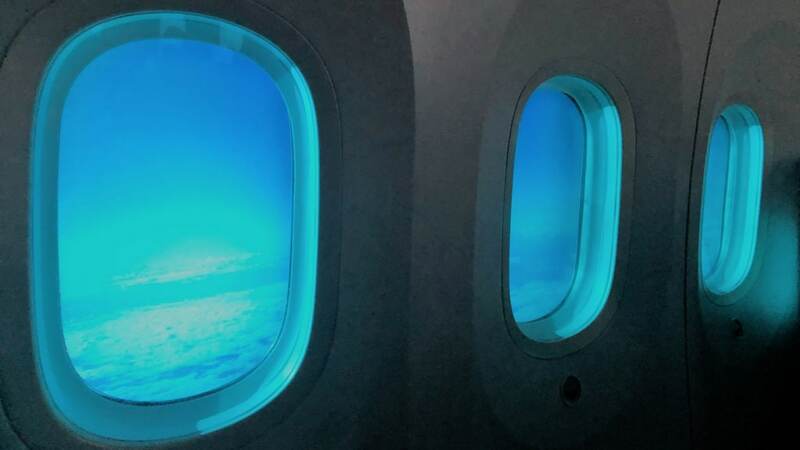 Read on to check out my review to find out more about what you can expect from the inflight experience. 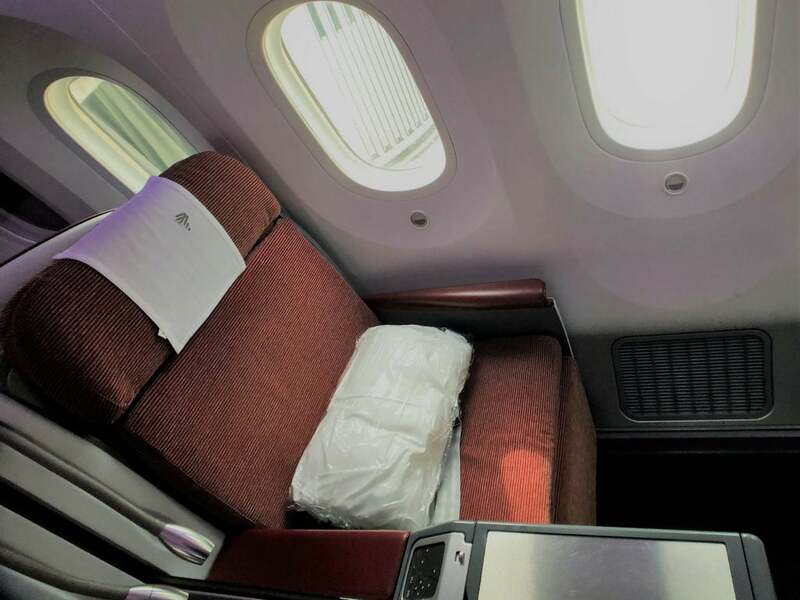 When on sale, LATAM trans-Tasman business class is ridiculously affordable. 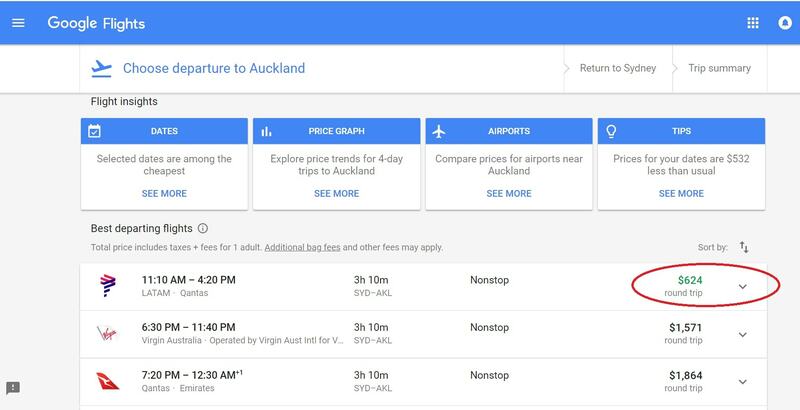 At the time of my flight, one way LATAM business class tickets from Sydney to Auckland could be purchased for $343 AUD one way, or $624 return. While this pricing isn’t currently available, LATAM run offer frequently. To check for dates, you can use Google Flights. To purchase your flights, you can go directly to LATAM. Note that AMEX Travel generally also offers pricing parity with LATAM sales fares, so this can be a handy way to use travel credit from cards like the AMEX Explorer or Platinum Edge credit cards. You can credit your LATAM flight directly to the airline’s loyalty scheme – LATAM Pass Points. However, LATAM is also a OneWorld partner airline, so flights can be credited to Qantas Frequent Flyer. 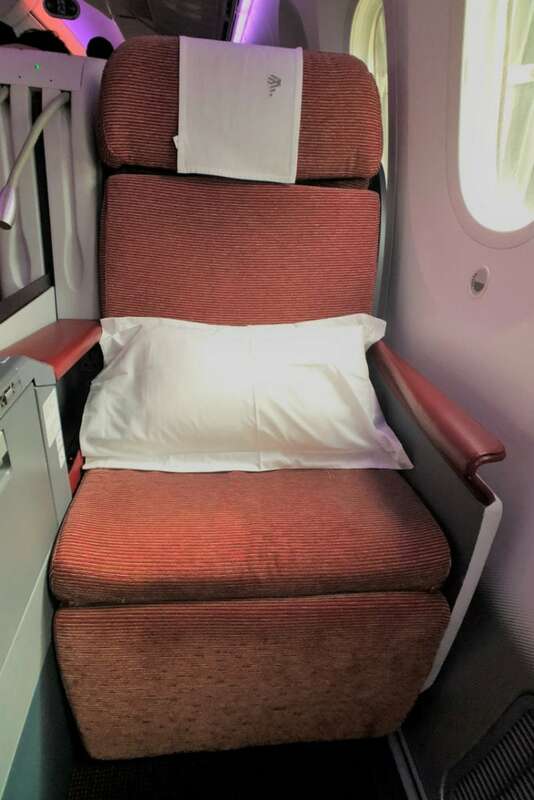 You’ll score 40 Qantas status credits and a nominal number of points (I earned 1,800 as a Qantas Platinum member for my recent journey) for a one way trip across the Tasman. Interested in taking advantage of this fare? 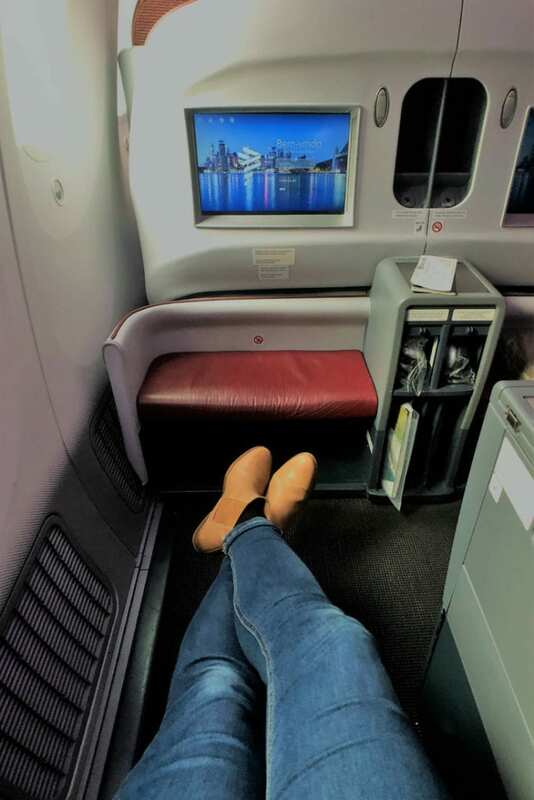 Read on to find out more about my very own recent LATAM trans-Tasman journey in business class. I booked my ticket online through American Express Travel, which had access to the LATAM sales fares I’ve mentioned above. I had a $400 travel credit from my AMEX Explorer Card to burn, which essentially made this flight free! Within a couple of hours of booking, I received an email notification that my flight was ticketed and I was able to later link the booking to my Qantas Frequent Flyer number. As a LATAM Business Premium passenger, I had access to the fast track check-in lane. The LATAM desks at Sydney Airport are manned by Qantas staff, who were able to process my check-in quickly and efficiently. Before long, I was on my way to security and the lounge beyond. 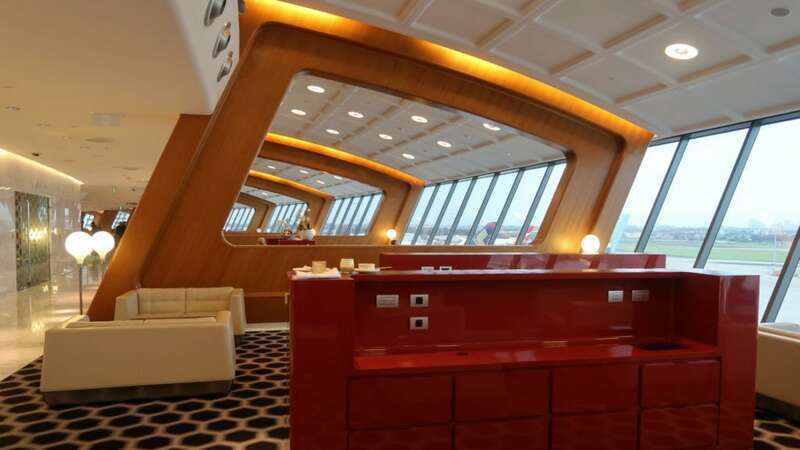 As a Qantas Platinum member, I’m always excited to visit the Qantas First Lounge at Sydney Airport. I arrived at around 9 am, whilst LA800 departs Sydney at 11.35am, so I had just over an hour to make use of the facilities. Sadly, no spa treatment bookings were available on this occasion. 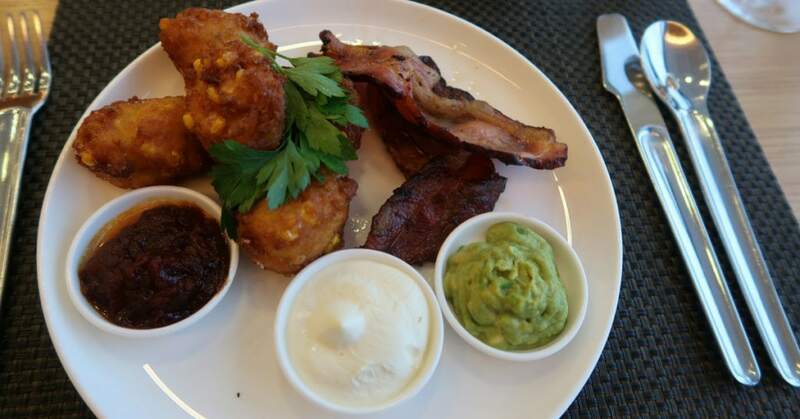 However, I enjoyed my usual breakfast ritual of sweetcorn fritters and bacon with avocado and tomato salsa, plus a glass of Mumm Rose NV Champagne. Oh, and I may have also snuck in a sneaky serve of salt and pepper squid, too (yes, you can order selected dishes from the lunch menu at breakfast if you ask nicely!). Before long, it was time to head off. I bid my goodbyes to the Qantas First Lounge and lugged my hand luggage to the gate which was located at the far side of Sydney Airport. If you’re travelling with check-in luggage, it’s worth noting that passengers travelling in LATAM business class can check in three bags of up to 23kg each and one carry-on bag of up to 16kg in weight. One personal item (such as a small handbag) is also allowed. 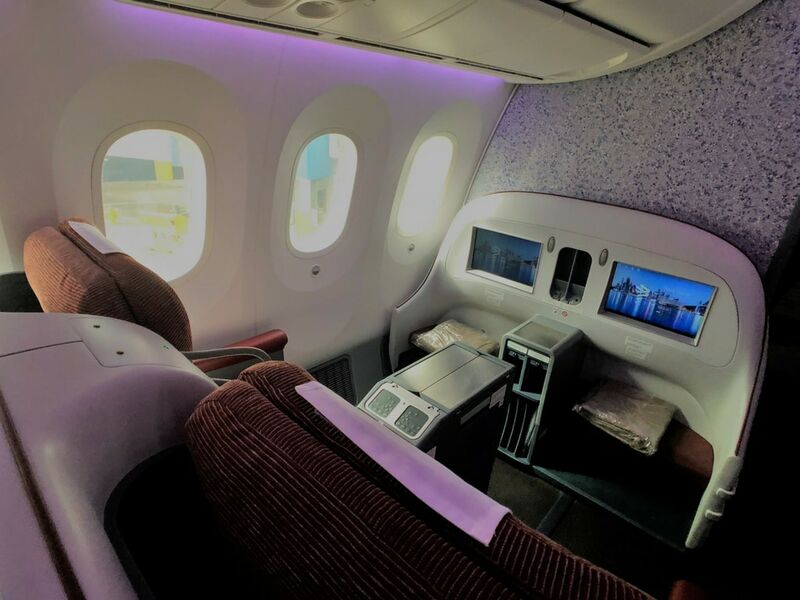 The LATAM 787 Dreamliner features 30 Premium Business seats in a 2-2-2 configuration. 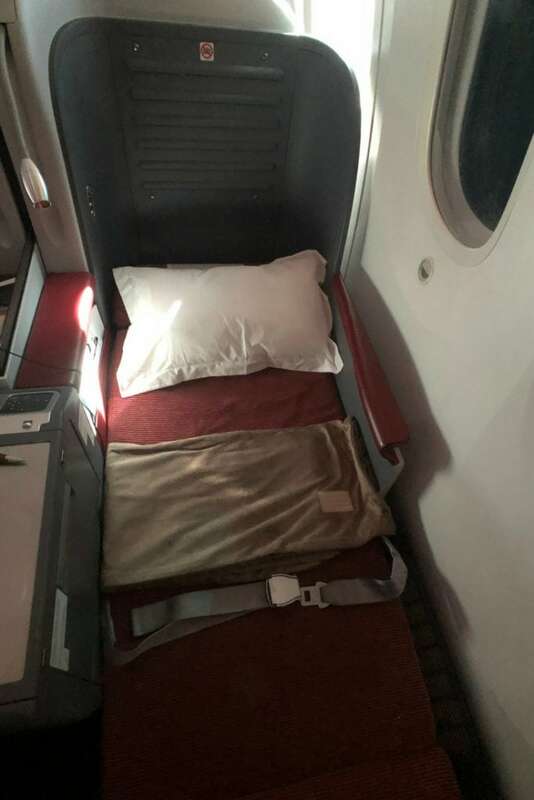 The configuration of the cabin unfortunately means that direct aisle access isn’t available to every passenger. However, for a three hour trans-Tasman trip, this isn’t likely to be a major concern. 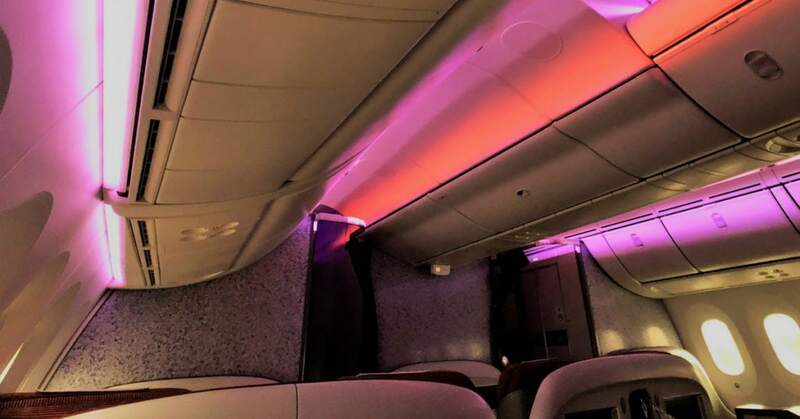 As I scoped out the cabin, I admired the soft pink Dreamliner mood-lighting I’ve come to love. 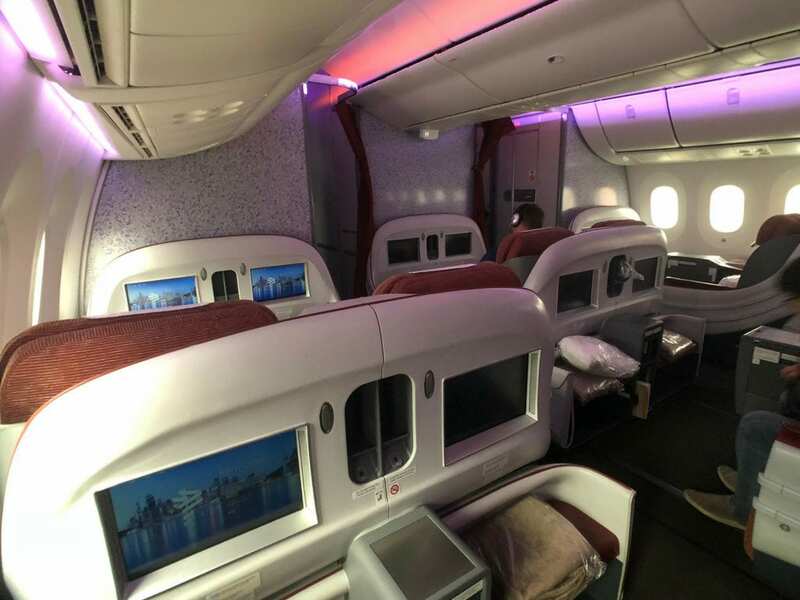 With a 75″ seat pitch and 23″ seat width, LATAM business class delivers a slightly tired looking, yet spacious enough seat for your next trans-Tasman flight. 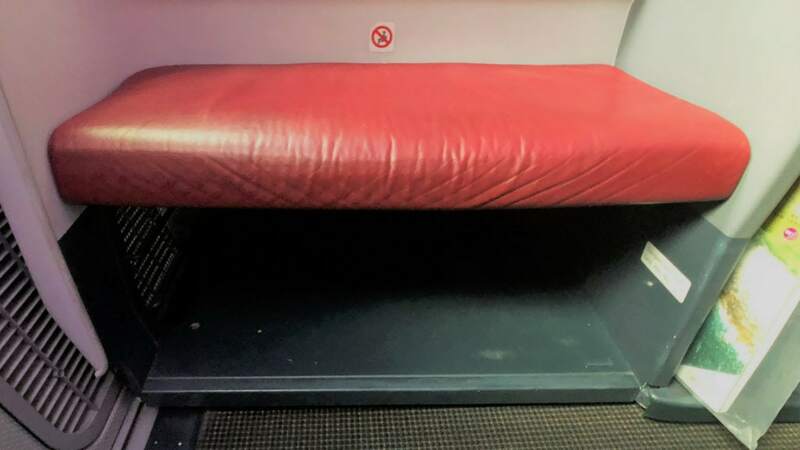 The seat converts to a 185cm lie-flat bed. 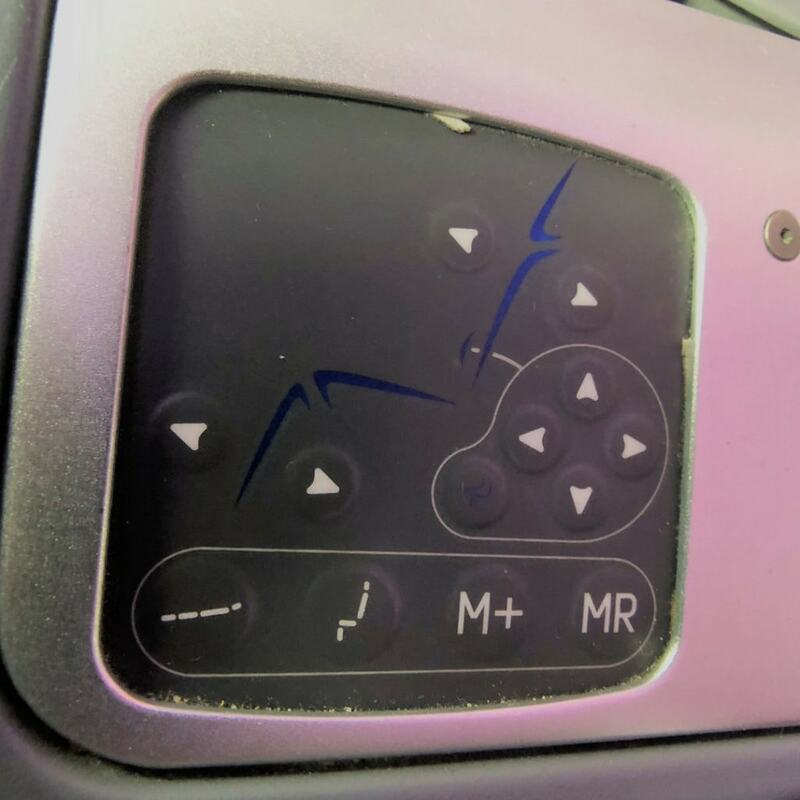 Easy controls allow you to enjoy flat mode at the touch of a button. 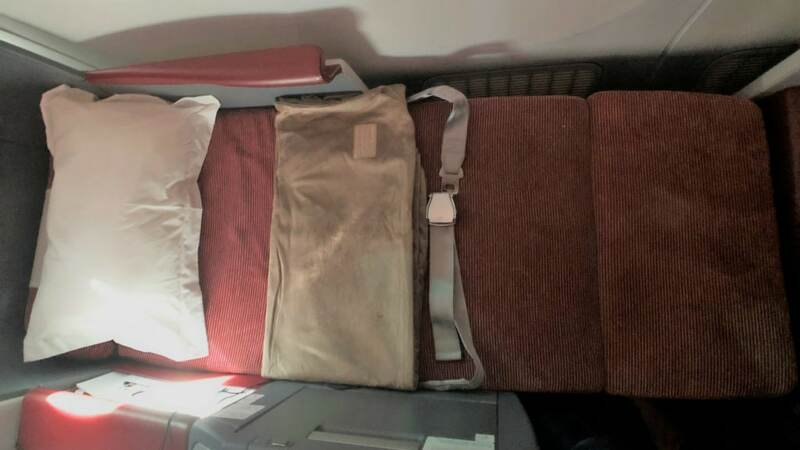 Plush blankets are provided for those who opt to doze through the short flight to Auckland. 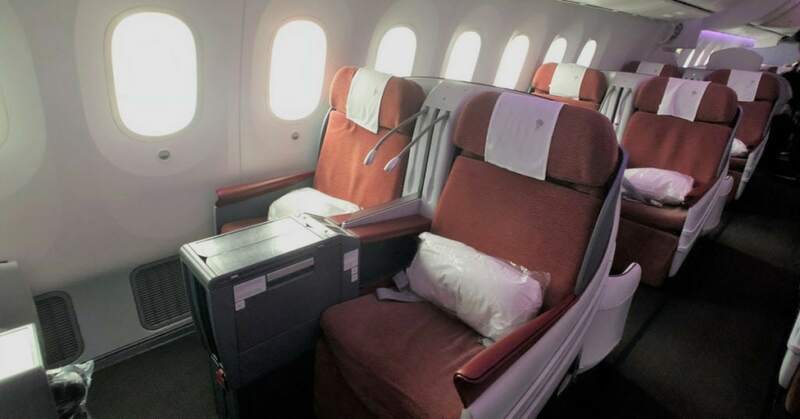 The LATAM business class seat provides a range of convenient storage options. 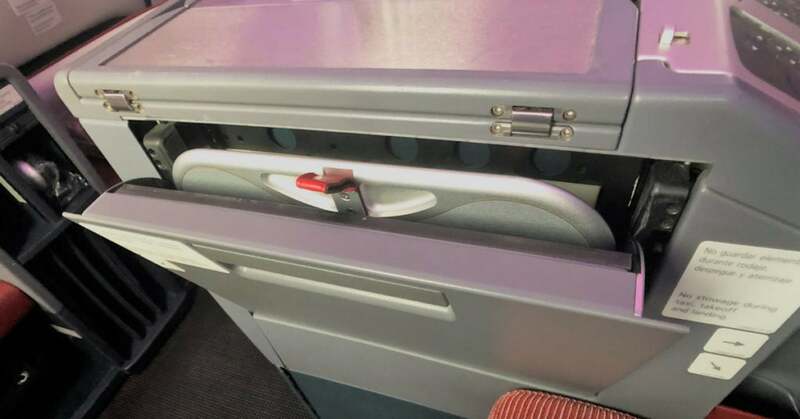 These include upper, lower and magazine storage compartments on the forward seat backs plus an ottoman large enough to store a small carry on bag or daypack. 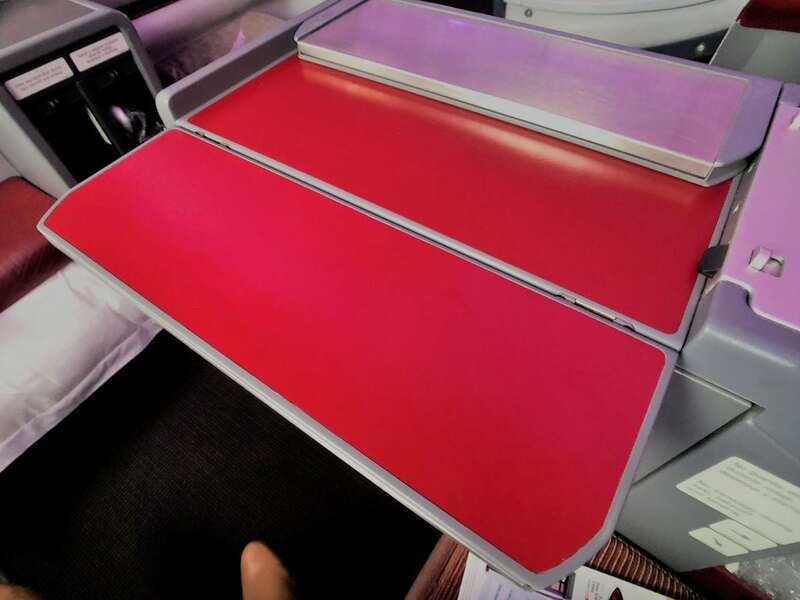 …while the larger tray table which is used for dining folds out from the side of the seat. 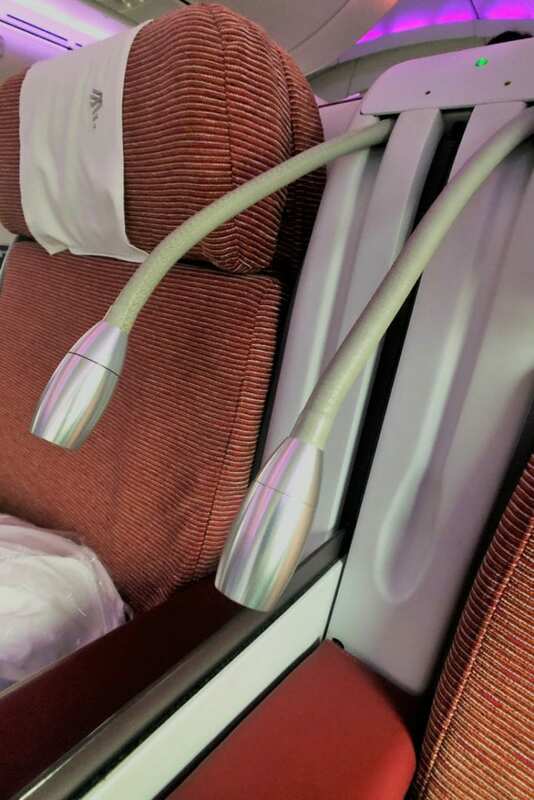 Each seat features overhead reading light, which is easily adjusted. 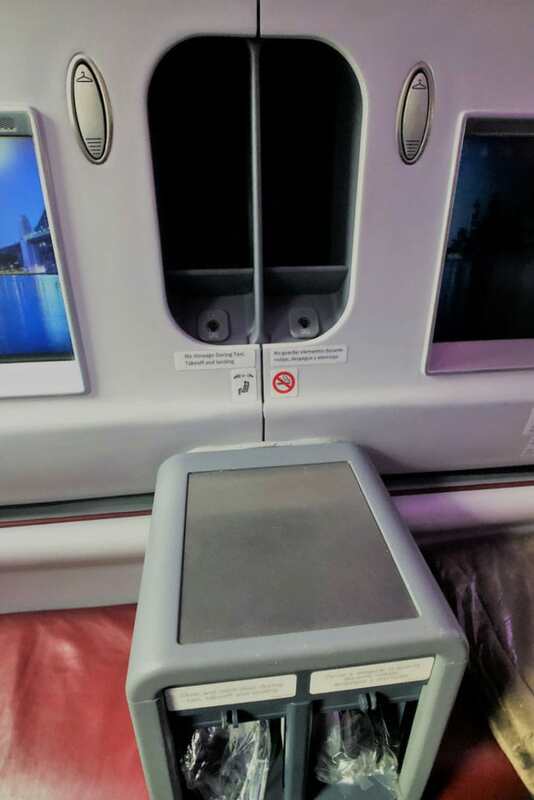 Large seatback entertainment screens and basic noise cancelling headphones are provided. While a range of English language films, TV shows and box sets are on offer, I found the entertainment selection was fairly limited. I was surprised to be handed an amenity kit slightly after boarding, as these aren’t usually on offer for trans-Tasman flights. 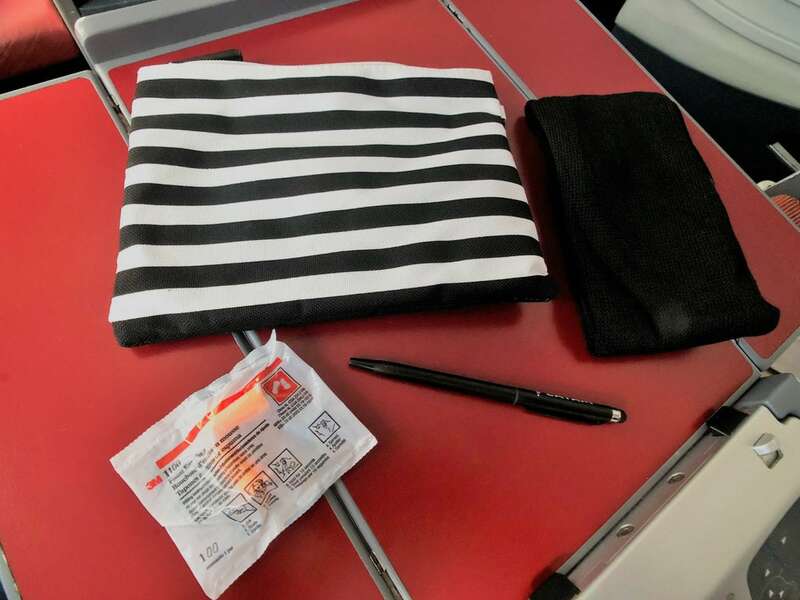 The contents included socks, an eye mask, ear plugs and a pen (handy!). 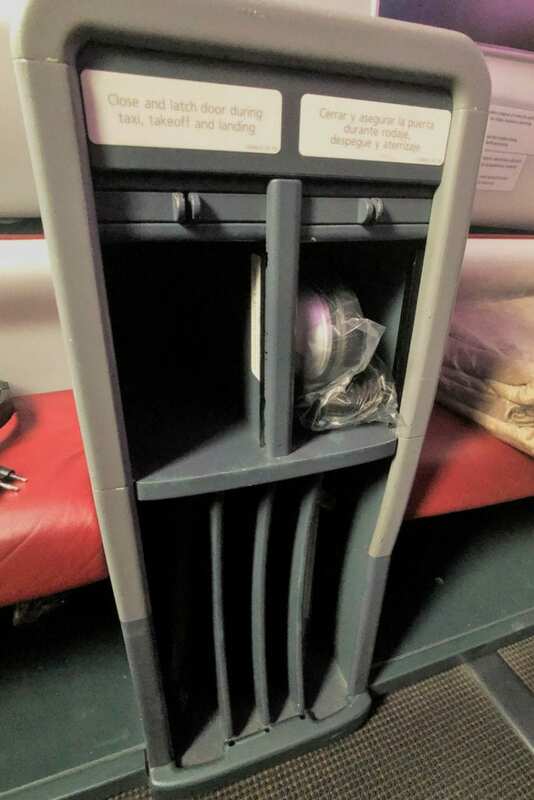 Shortly after I boarded, the crew came around with a tray of drinks. No champagne or sparkling wine was on offer – surprisingly – so I opted for a glass of water. 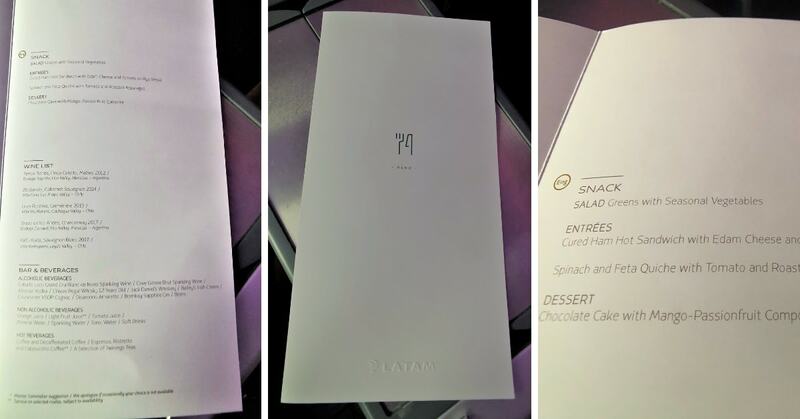 Around 30 minutes after take off, the crew came around with menus and to take food and drinks orders. 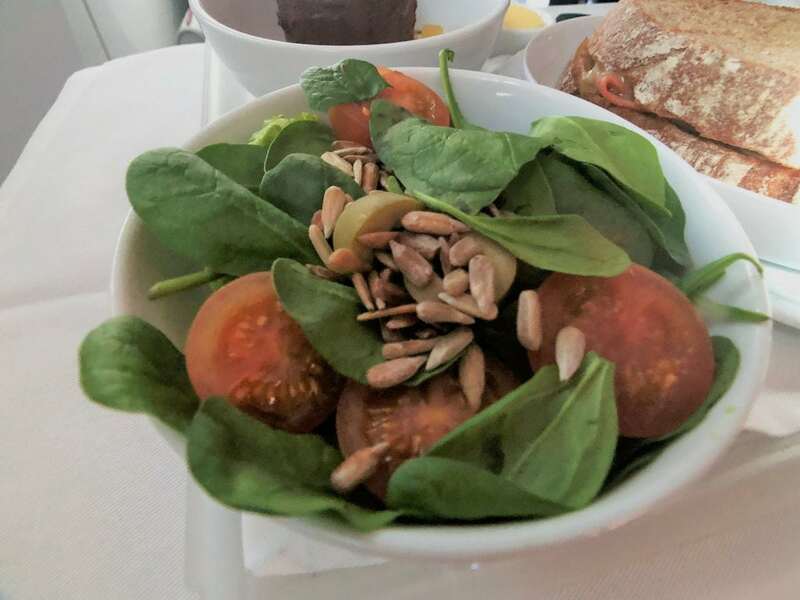 The Sydney to Auckland flight features a one tray ‘snack’ menu – a salad of seasonal greens which is served with one of two small entrees and followed by a set dessert. The wine list featured three South American red wines, two white and one (non-Champagne) sparkling wine. 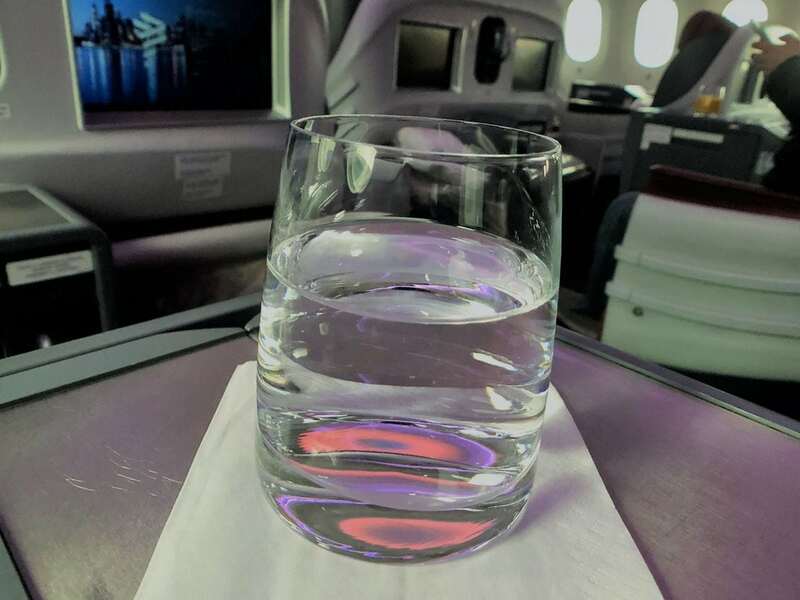 LATAM also reportedly serves a mean Pisco Sour as their flagship onboard cocktail. Given the early departure of this flight, I didn’t opt for one, but it’s most definitely on the bucket list for next time! For my entree, I chose the cured ham sandwich with Edam cheese. This was served with a salad of mixed greens garnished with pepitas. 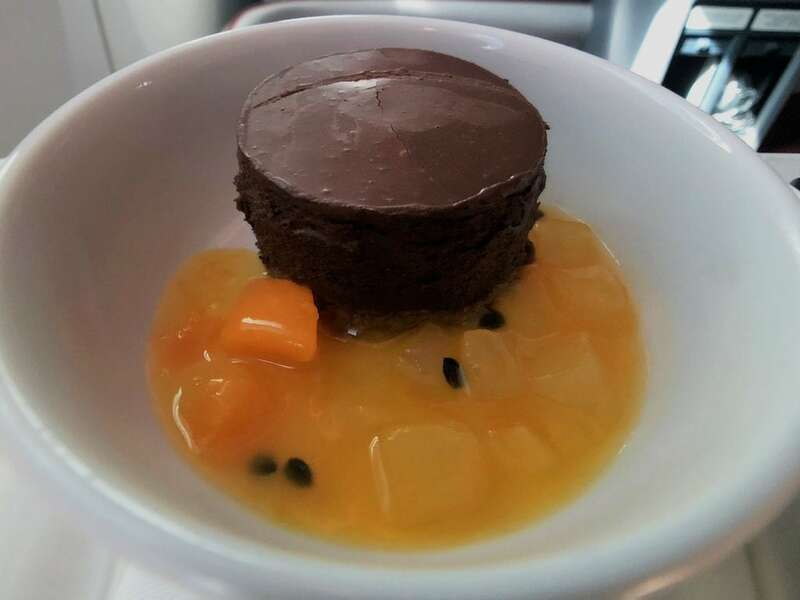 For my dessert, I received a chocolate cake with mango and passionfruit compote. 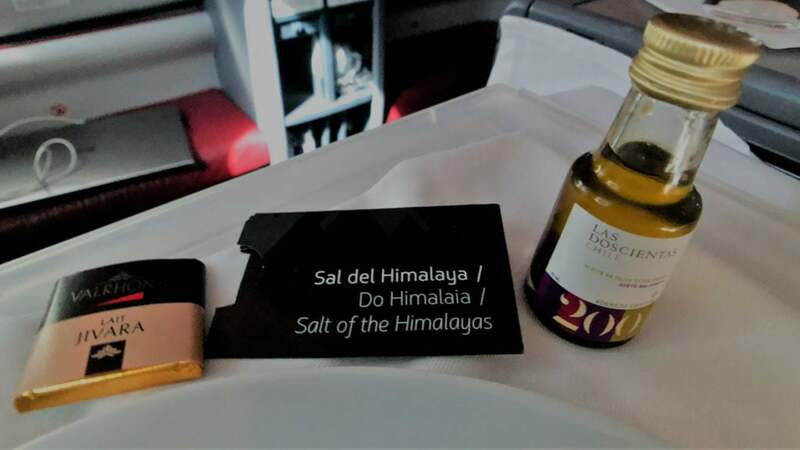 A trio of thoughtful items – a Godiva chocolate, Himalayan salt and Chilean branded salad dressing – helped to lift the presentation of the meal. All in all, it was a fairly basic meal, but perfectly adequate for the short crossing through to Auckland. 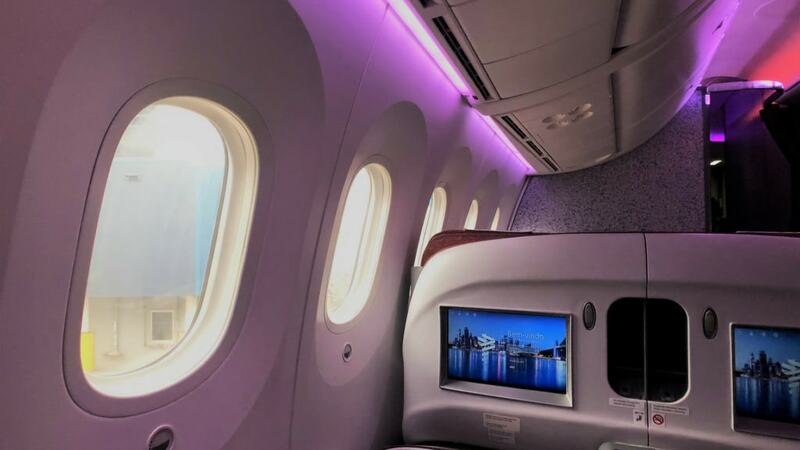 After my meal, I settled back to listen to some music and stare out of the bank of beautiful Dreamliner windows next to my seat – something I never tire from! Before long, the coast line of New Zealand’s North Island came into view, and we descended quickly into Auckland airport. 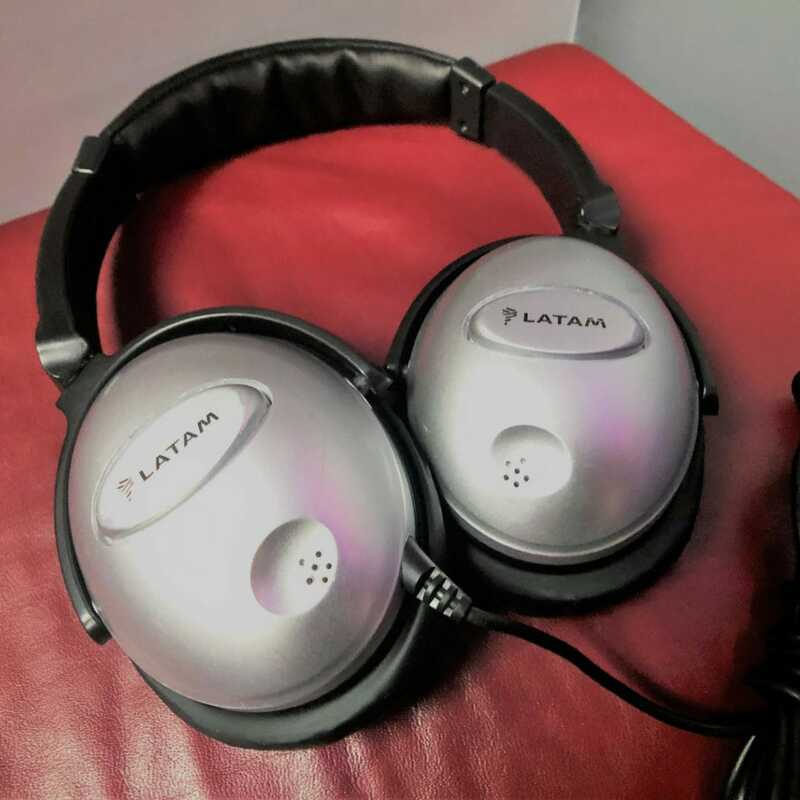 While the hard product and service isn’t amongst the best in the sky, LATAM delivers a solid and spacious offering for your next trans-Tasman trek. It’s a cut above a Qantas or Virgin 737 any day of the week. And for the current bookable price, it’s simply unbeatable!